This article is an introductory article that explains the basic idea of an Electrical Transformer and gives very basic idea about its working. In this post I'll discuss some basics of transformers. Friends, you must observed the black and bulky box hanged on the electric pole, probably near your home or at a distance from your home. 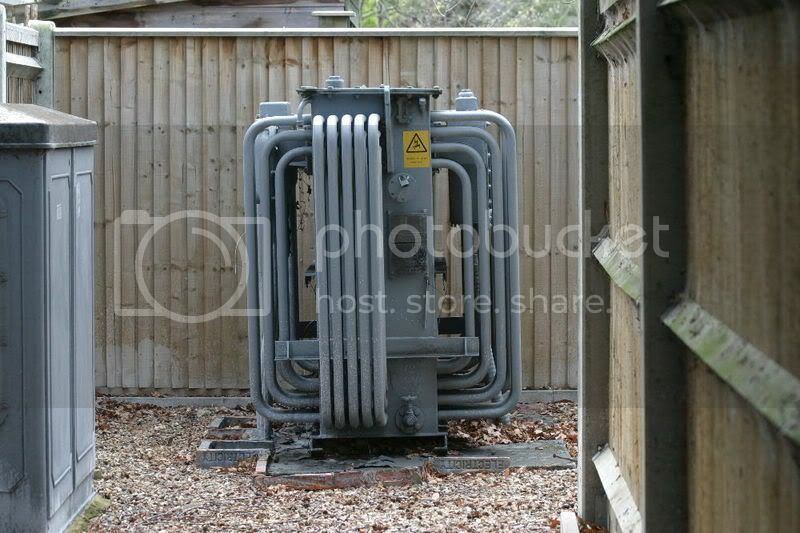 This bulky structure or electrical appliance is called transformer. The above figure can give you a good idea of transformer, if you haven't seen real one ! If you haven't seen a transformer yet, look at any of the opened electrical appliance box like Stabilizer, T.V. Set, radio etc you will found a square with small coils wrapped on a iron or steel like structure. This is noting but a transformer. Transformer is a device used to convert alternating voltage from one level to another level. Here you must remember that it works on A.C. (Alternating Current) Voltage only. A transformer cann't work on d.c. Supply. A transformer can convert high voltage into low voltage and low voltage into high voltage, but it cannot change the working frequency of the system although it changes current in the system. The step up transformer converts low voltage in high voltage, converts high current into low current value. Further, if you are using transformer to decrease voltage level it will increase current in the circuit. Similarly if you use transformer for isolation in a system it will not change current and voltage in the system. This is against Ohm's law but this is true and is called Transformer's law. It is due to the inductance of the windings. Transformer works on the principle of mutual induction. Mutual induction is the phenomenon of induction of electro-motive-force or e.m.f. in an inductor when it is placed in the magnetic field produced by the magnetic flux due to another current carrying inductor. This is the working principle of transformer. Step-up Transformer is a transformer that is used to increase voltage level of any a.c. wave while step-down decrease voltage level and thus increases current level in the system. In my next post I will discuss various types of transformers depending upon other classifications. Till then, bye bye and take care. Have a nice day.